Titan Mechanical, Inc.’s service department can tackle just about any mechanical problem. We understand that equipment failure has a direct effect on your productivity and we strive to minimize any down time for your place of business. 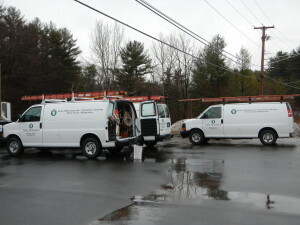 Our field service technicians provide regular maintenance to insure long term sustainability. With a service contract, the technicians become experts on your mechanical systems and will keep you up to date with any changes and will make recommendations for potential enhancements that can save both time and money. When an unexpected problem arises, our technicians will evaluate the situation and provide the best solution in a timely manner. We are on call 24/7 and each service technician holds the licenses required for the complete installation or repair of your mechanical equipment. One call to our office dispatches the appropriate team to address the situation at hand. When you are in need of service for your commercial or industrial heating and cooling systems, look no further than Titan Mechanical, Inc.